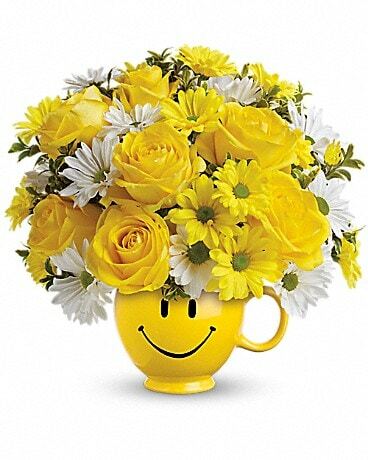 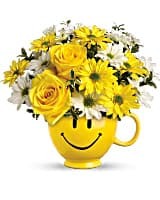 Yellow roses and daisy spray chrysanthemums along with assorted greens are delivered in the one and only Be Happy® mug. 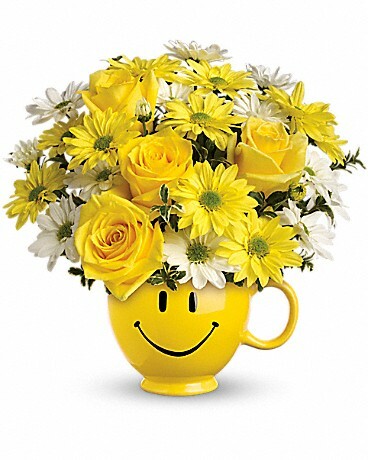 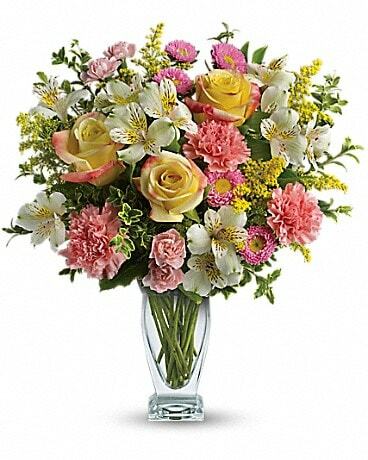 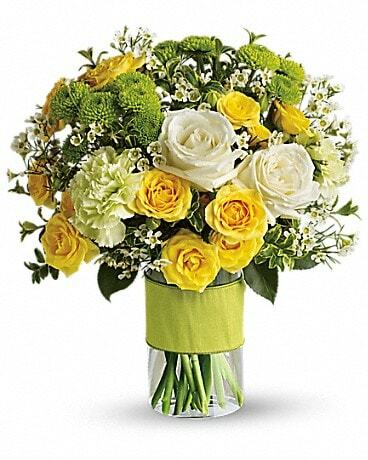 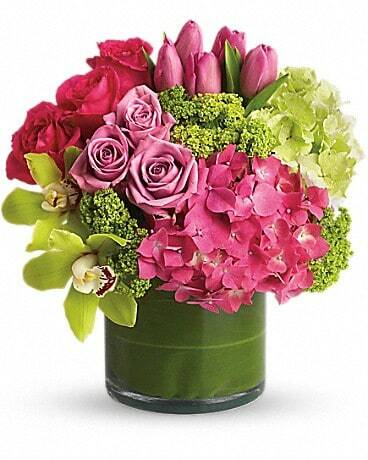 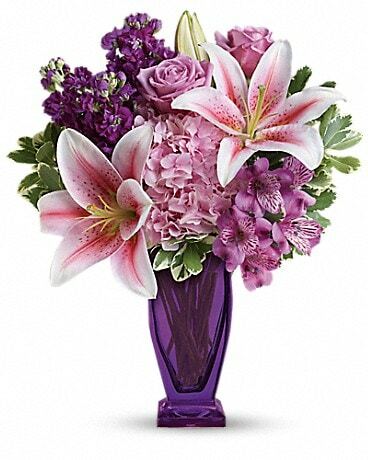 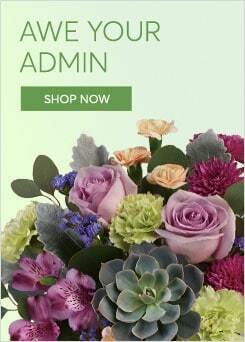 This cheerful arrangement is a very popular floral arrangement. 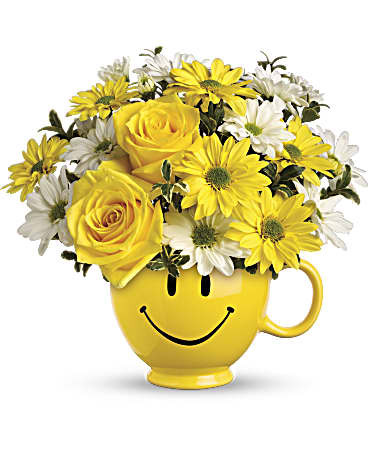 Full of bright flowers, this ceramic happy face mug will bring smiles for years to come. 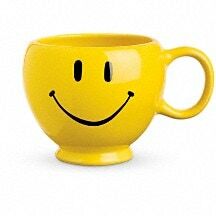 Especially when filled with that first cup of morning tea or coffee.